The full cage or half cage is needed for attaching a wireless focus motor, not just the various baseplates. Which power input should you use on the BMPCC 4K if you use F970 battery baseplate? DC in or dummy battery? Does the BMPCC 4K use HDMI video output? Can I still fly the camera using G2X even though I installed the MHC-2 (lens control and R/S trigger) side handle? Can I still fly the camera on the Gravity G2X gimbal even though I used the F970 battery baseplate? How do I assemble the Tilta Basic Camera Cage Kit for BMPCC4K? Can I use the G2X DC output to power the BMPCC 4K? What kind of power cable I should use? Does the F970 battery baseplate use 5.5×2.1 port or 5.5×2.5 port? If I am not using it to power the camera can I use it to charge the F970 battery? 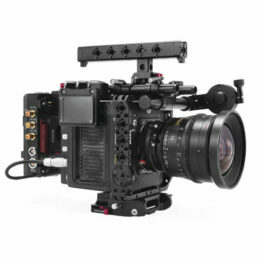 How do I assemble the Tilta Advanced Camera Cage Kit for BMPCC4K? Can the Gravity G2/G2X power the BMPCC 4K? How many cables does the MCH-2 have for connecting to the camera? What cable should I use with the MHC-2 side handle?